I have a kindergardener this year. As much as she is adjusting to everyday school and to “no naps;” I am also adjusting to a set of new routines and obligations. One of these is the carpool lane. After being in the drop-off and pick-up line for a solid month, I have noticed a problem. I am seeing too many elementary-aged kids hopping out of the front seat of vehicles in the morning, and hopping into the front seat after school. And what else? I have seen an alarming number younger siblings and friends jumping around the backseats of carpool vehicles without restraints at all. Kelsey Lueger, MD, a resident from the local children’s hospital, joined me in clinic through the month of September. She patiently listened to my carpool lane rants; and agreed that consistent proper use of seat belts and car seats should remain a priority whenever the wheels roll - even the carpool lane. I offered her a chance to add more of her thoughts. Enjoy her guest post. Carpooling: Good for schedules. Bad for safety? 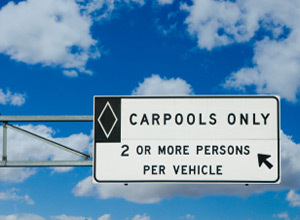 Carpooling - What a great way to make life a little easier when it comes to getting your kids to and from school. Another bonus: you can feel good about helping the environment by cutting down on toxic fumes added by additional car trips. However, this efficient means of transportation for our children may not be the safest. The AAP published an article earlier this year, surveying parents about carpooling and booster seat use. It was concluded that proper car seat restraints are too inconsistently used. Our children’s safety in any car should carry the utmost importance. The number one cause of death of US children is …You guessed it - motor vehicle injuries! Think of the times you have had your child picked up or dropped off through a carpool, or seen other carpools bringing children to school. Have you noticed how many children less than 4 years old are no longer in a car seat; kids less than 8 years no longer in a booster; or how many children younger than 13 are riding in the front seat? None of us want a child to be at risk for becoming part of a statistic because someone didn’t take the time to make sure that they were properly restrained in a vehicle. The fact is, EVERY kid should be properly restrained, EVERY time. So, what steps can we take to make sure our kids are safe? 1. Know the safety rules. Make sure anyone driving your kid knows them, too. Refer to Dr. Natasha’s "Car seat refresher course" and review the CDC guidelinesfor parents. 2. Spread the word. Tell your friends, your kid’s friend’s parents, and your kid’s teacher. Pass around the SafeKids USA Carpool Driver safety checklist for tips and reminders. 3. Problem solve. Having difficulty knowing what car seat or booster to buy, or knowing how to fit the recommended seats in your vehicle? Check out carpool solutionsfrom The Car Seat Lady. These tips will help every one arrive safely to their homes and after-school activities. Happy Fall! Dr. Lueger is a 2nd year resident physician at Children’s Mercy Hospital, and interested in general pediatrics. Taking Out Tonsils: Does Frequent Strep Throat Matter?